Owning a home is a great experience – you can do what you like with it without having to ask the landlord’s permission, and it’s altogether a good investment. But there is one issue: anything that goes wrong is your problem! It isn’t a fun fact, but many different issues can arise when you own a home. To be ahead of the game and catch problems before they become very costly, you should always hire a surveyor to check the house before you move in. Our surveyors are committed to finding any potentially serious defects for both home buyers and homeowners. These are just a few of the most common defects they have found. If a property does not have adequate ventilation, it becomes difficult for moisture to evaporate. If the problem isn’t addressed, this will eventually cause problems. In summer, proper attic ventilation will reduce heat build-up, and in winter, it will allow the heat and moisture to escape. Check your roof – if there aren’t any vents, there should be! In summer, you can touch your ceiling to see if it is too hot – if it does feel very hot, you need better ventilation. In the winter, checking for dampness or frost in the attic is a good place to start. The older a property gets, the more likely it is to develop some damp problems due to the deterioration of building materials. 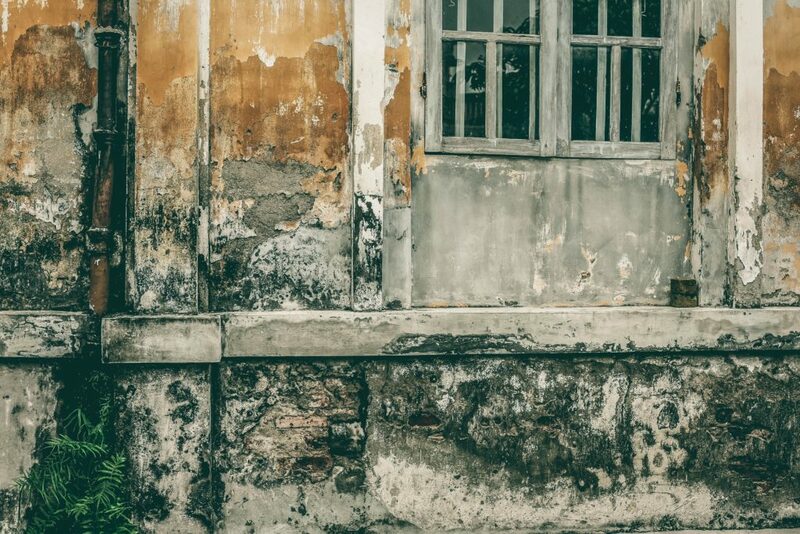 There are plenty of different forms that dampness can take, including wet rot, dry rot, condensation, and penetrating damp. Failing to have good drainage around a property can lead to leaks and water intrusion in garages, crawl spaces, and basements. Many problems can lead on from this, including mould and dampness. You can spot signs of poor drainage before it gets too serious by looking out for overflowing gutters, water stains in your basement, cracks in the foundations, and flaking on the walls. Structural movement can come in all different types of forms – cracks in the wall, subsidence, and expansion of building components are all types of structural movement. These aren’t always immediately obvious, so they are best identified by a surveyor [#link] when you first buy the property, and a few years later to check that the property is still in a good condition. The roof is a part of the house that we like to forget about – which is easy to do so when you’re inside and it’s out of view! But, unfortunately, there are a fair few roof problems that are very common. The flashing could be weathered, overhanging trees can cause a problem, and tiles can slip or be broken. We’ve gone into more detail about different problems your roof can suffer from here. We have RICS surveyors local to you – to book your survey, call our friendly team on 01249 569010 or get an instant quote here.